Fullmetal Cupcake: Born Pretty Store nail art stamper and scraper combo review! Born Pretty Store nail art stamper and scraper combo review! 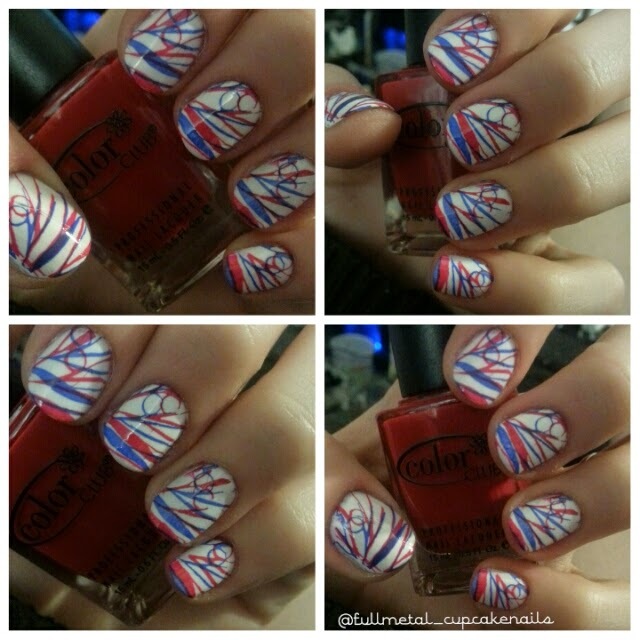 Hey lacquer lovers! So today I have another review of a nail art product from Born Pretty Store for you :) This time I'm coming at you with my opinions on a cute and useful little stamper and scraper combo. Let's see how this stamper faired against others that I own. So I also own a Konad stamper and a MoYou London stamper. This stamper from Born Pretty Store is the exact same in marshmallowy-ness and texture as my MoYou stamper. I did not have to prime this stamper as you do with rubber stampers like my own from Konad. As you can see the scraper is pretty standard and functional also very comparable to the brand Konad. The only thing is, unlike the other brands this one can be purchased on the cheap for $3.74 if you are on a tight budget but want to get into stamping. 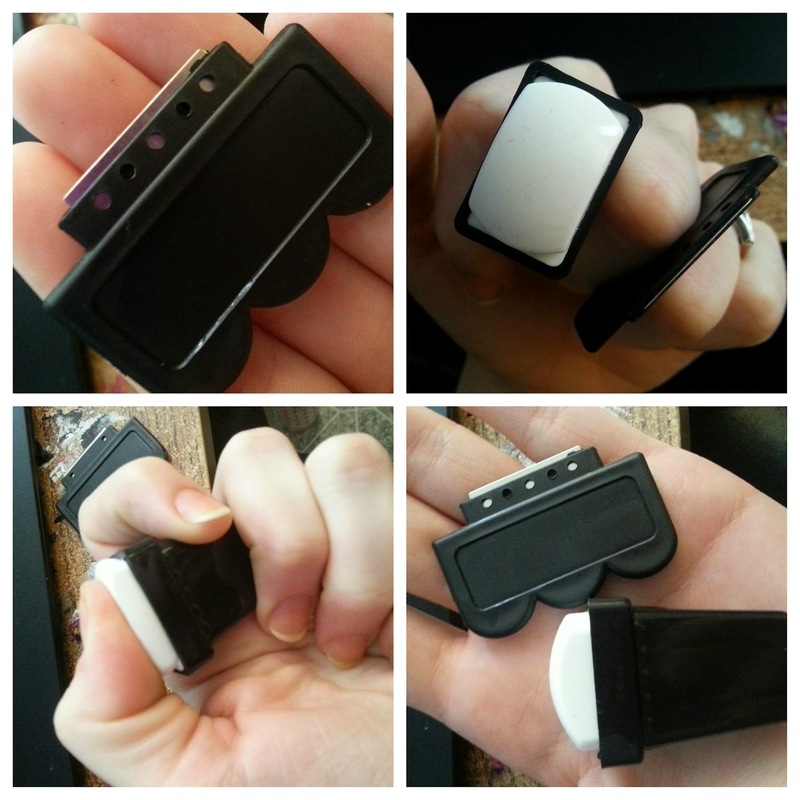 It works just as well as the other brands, but is more price friendly and might be a good way for beginners to get into stamping without devoting near $10.00 to stamping before you know if it's even for you. I have included not only photos of the stamper, but also a short video where I showcase how soft and marshmallowy it is, which makes it easier to transfer the images onto your nails without screwing up any polish underneath, it also helps to line up your stamping design because you can just look at the design, line up your finger and smoosh it into the marshmallow stamper for a greater success at perfect placement than with a rubber stamper in my own personal opinion. Next I wanted to give you all some examples of how it picks up images. Keep in mind that I did not use proper stamping polish so forgive me that it isn't as vibrant as some stamping images are. I have yet to budget proper stamping polish into my nail art rotation. 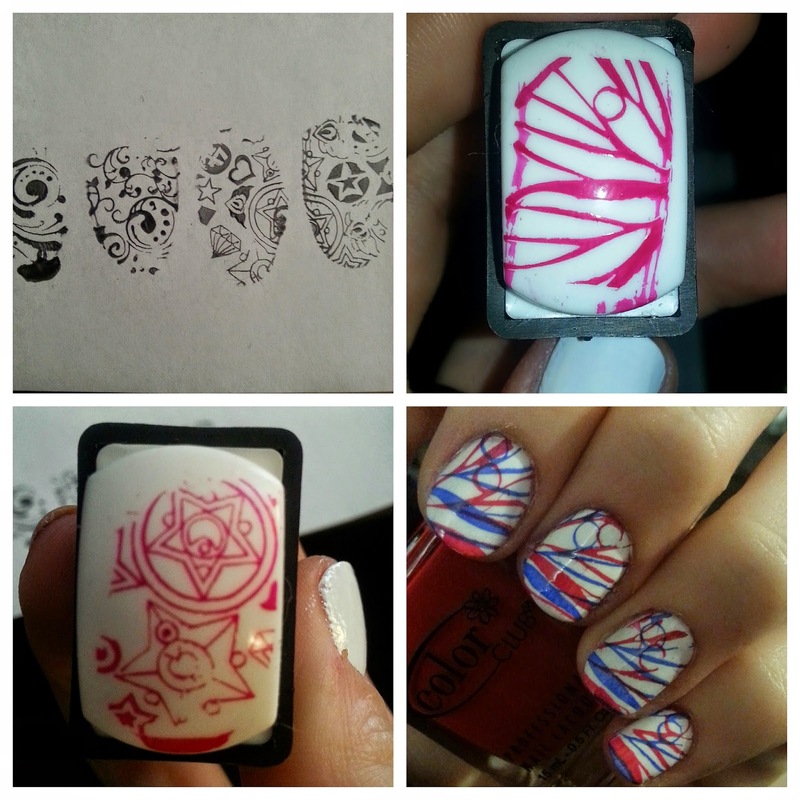 The images transferred to the stamper and then to my nail just as well as either of my other two stampers performed the same task. Even though this stamper and scraper are cheaper than other brands I would still give it a go if you are a beginner stamper or if you want to have a few extras lying around for advanced stamping etc. It never hurts to have a spare stamper and with Born Pretty Stores prices you can't really go wrong. Without further ado...here are a few shots of the completed nail art I accomplished with the stamper and scraper from Born Pretty Store which can be found here . 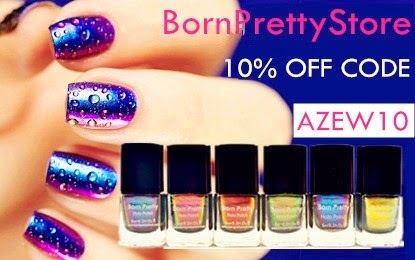 If $3.74 isn't a low enough price for you :P I encourage you all to use my discount code AZEW10 for 10% off your entire Born Pretty Store order. I hope this post has been informative for you guys today. I will also have another nail art up today for your viewing pleasure. See you all next time lacquer lovers!